Bella's Beauty Spot: Lush Fragrance/Perfume Chat Today Only! 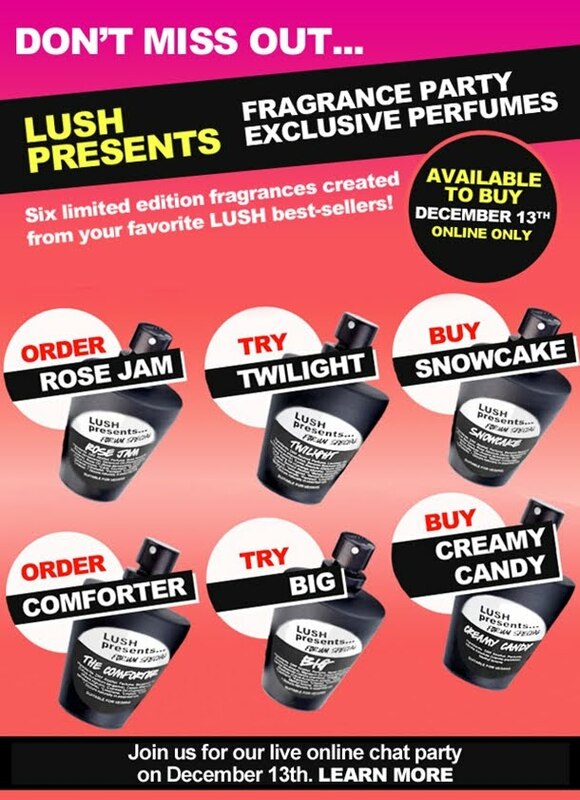 Lush Fragrance/Perfume Chat Today Only! Thought all my Lushies out there would think it was pretty cool that right now, (yes at this very moment) I'm in a Lush chat, talking about the new 6 limited edition perfumes. So excited for these!